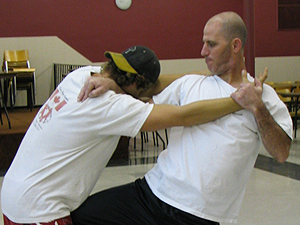 Learn Krav Maga in a fun and energetic group setting where you can train with other people of varied backgrounds. Learn how to defend yourself, your family, friends or stand up against bullies, robbers, criminals or rapists and get in shape at the same time! 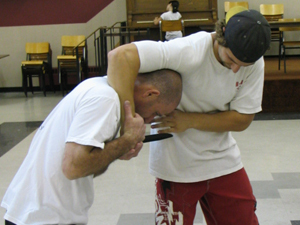 With our group classes you gain the skills to defend yourself against punches, kicks, grabs and chocking as well as techniques to defend against weapons such like knifes, bats, handguns and more. See how Krav Maga can be used in any situation of every day life, whether you are at home, at work or traveling abroad. Each class is 2 hours long and includes warm-ups and stretches Continue classes to learn more advanced techniques and improve upon the skills and abilities already learned. Registration fee $40 None Refundable. The very first class is free to try! Learn Krav Maga in either one-on-one or with a friend in a focused, fun and comfortable setting where you can train head to head with Momi. Learn how to defend yourself, your family, friends or stand up against bullies, robbers, criminals or rapists and get in shape at the same time! With our private classes you can gain the skills to defend yourself against punches, kicks, grabs and chocking as well as techniques to defend against weapons such like knifes, bats, handguns and more. See how Krav Maga can be used in any situation of every day life, whether you are at home, at work or traveling abroad. You will start with basic techniques and training and then advance to more sophisticated maneuvers as you improve your skills. Even if you have a busy schedule, a convenient time for private sessions can always be arranged. If a facility is required to be rented, an additional cost would apply depending on what the chosen facility charges. Regardless on your job or career, there is always the risk of encountering a disturbed or dangerous individual. They can threaten yourself, co-workers, clients either at the workplace or even at a business or corporate event. This is why many people such as diplomats, CEO’s, businessmen and businesswomen are learning Krav Maga to protect themselves and others. 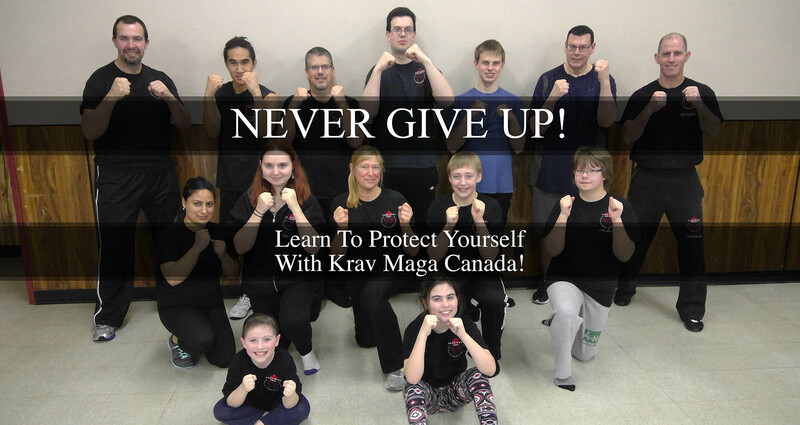 With a seminar provided by Krav Maga Canada, employees, co-workers and you can learn the skills needed to protect yourselves in any dangerous situation. In addition to being a great team building exercise, these seminars will provide a great workout and assist with relieving stress. Learn how to apply techniques to defend against punches, kicks, grabs and chocking as well as techniques to defend against weapons such like knifes, bats, handguns and more. See how Krav Maga can be used in any situation of every day life, whether you are at home, at work or traveling abroad. 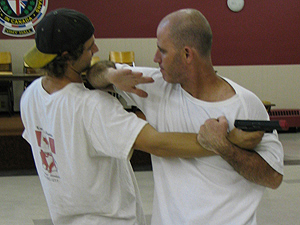 Krav Maga training is perfectly suited for police, security and VIP Protection. Career martial artists have the time needed to properly develop the skills needed to apply them effectively. Because of the demands of their career, most individuals in these fields do not have a great deal of time to spare for advanced martial arts training. This is ironic because individuals in these fields are the most likely to find themselves in a situation where Krav Maga training will not only help, but could even save their life. These individuals place their lives on the line every time they put on their uniform and flashy moves are not practical nor effective. That is why Krav Maga relies on only simple, easy to remember, gross motor moves. Anything more than only whats needed is a waste of time and possibly even life threatening. This is why Krav Maga Canada ensures that the technique taught are easy to learn, apply and adapt to any situation. 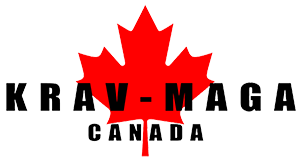 For cost and more information please contact us at 1-204-892-1211, email us (go to contact us) or find us on facebook: Krav Maga Canada. Although a physical altercation with someone isn’t the first thing you think of when in certain professions, they are still something one needs to be prepared for. In some cases, individuals may encounter a hostile patient (or someone related to a patient such as a family member or friend), someone under the influence of drugs or alcohol who may want to do harm to you, themselves or others. These seminars will provide participants with the necessary means and tools to recognize problematic body language and how use Krav Maga to subdue aggressors until the police or security forces arrive.